And felt proud enough to post it here. 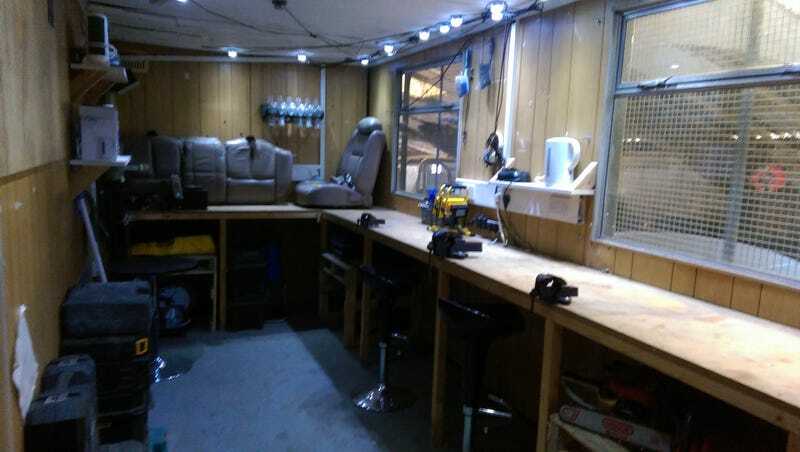 I say ‘workshop’ because it’s actually an ex-surveillance trailer, but it works a treat. 12 Oppo points to whomever can name the vehicle that is owed its upholstery back.